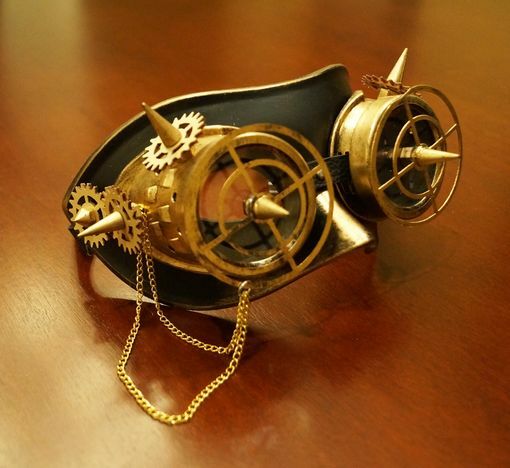 Trextor Steampunk mask is accented with gears, spikes, and chain. Goggles have glass lens. Comes with elastic band.